This down-to-earth, straightforward little place has been accommodating skiers for many years. 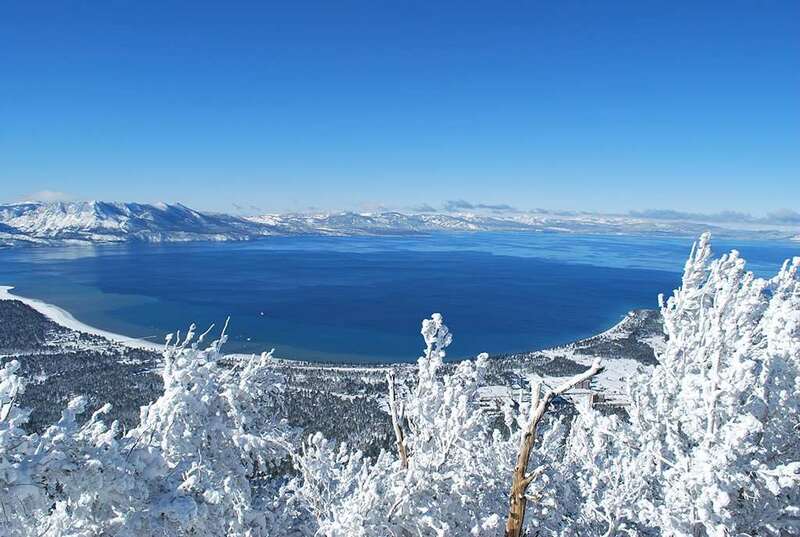 It has a great location, a short walk from the high-speed gondola that will whisk you to the slopes of Heavenly. After a hard day on the slopes, you can return to a glass of FREE apple cider and a soak in the hotel's tub - perfect for soothing aching limbs! The Nevada border is just a block away, over which you will find a clutch of casinos that house a variety of other entertainments, from top-name entertainers to cabarets and Broadway revues. 30 rooms on 2 floors in 1 building with no lift. All with TV and tea/coffee maker. Rooms with 1 king-size bed, sleeping max 2 or 2 queen-size beds, sleeping max 4 (2 adults and 2 children).